As an Accredited Luxury Home Specialist, I am aware of the high expectations my clients have in buying or selling property – and I recognize the benefits of working with a widespread network and a great team of professionals. This is why I have become a partner in Elite Pacific Properties. Elite Pacific Properties is the leading luxury brokerage real estate and vacation rental firm in Hawaii. Founded in 2005 in Honolulu, it is the only luxury real estate firm with staffed offices in Oahu, Maui, Kauai, and the Big Island. We have around 200 agents in all of Hawaii, representing properties and buyers of luxury residential properties, multi-unit developments, and luxury vacation rentals. As luxury experts, we can assist you in every aspect of the home buying and selling process in this category, from finding the right property and acquiring financing, to negotiating and closing. 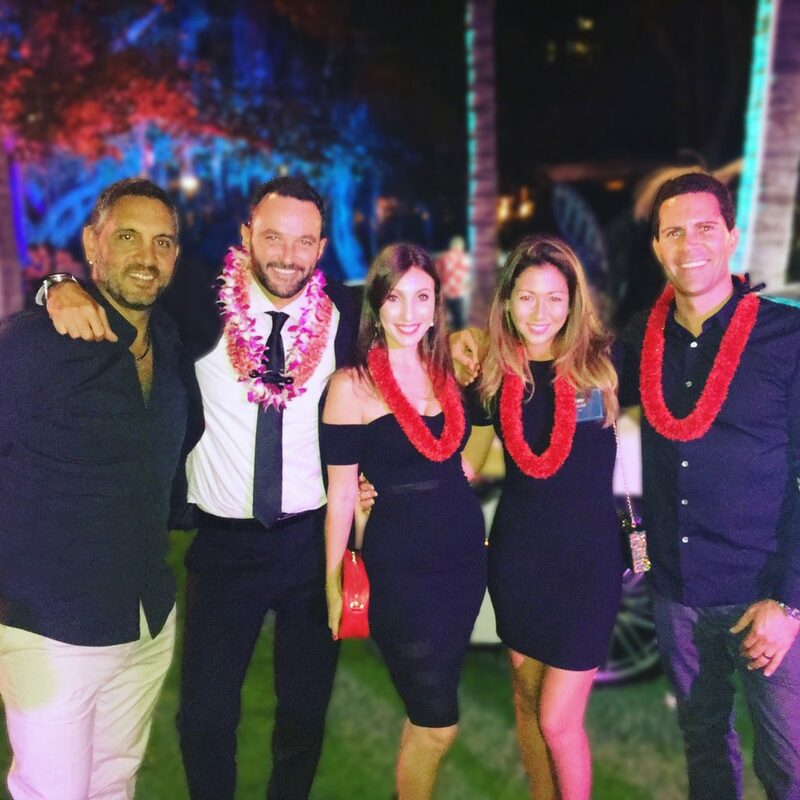 Greg Burns and his team with Founder and CEO of The Agency, Mauricio Umansky. Elite Pacific Properties is the only luxury brokerage firm among the Top 10 Brokerages in the state ranked by volume. From 2013 to 2015, we were named in Inc. Magazine’s prestigious Inc. 500 list as one of the Top 500 Fastest Growing Companies in the United States. In 2015 we were ranked the 9th Fastest Growing Company in Hawaii in Pacific Business News’s Fastest 50 list. We are a member of Who’s Who in Luxury Real Estate, an exclusive organization of the top luxury brokers in the world. This affiliation has given us a wider venue in marketing the properties we represent, allowing us to expand our reach to national and international buyers and investors. Elite Realtors are guided by this attitude: “We treat our clients as we would our friends, and every property and transaction as we would our own.” You can rely on us to go the extra mile to get you the best possible results – and make the process as enjoyable and as stress-free, as it can be. Elite is a locally owned and operated business. Our Oahu, Kauai, Big Island, and Maui Realtors are native Hawaiians s or have lived in the islands for a long time. This makes us local experts who are intimately familiar with every neighborhood, attraction, and destination in the areas we serve. And we use this local knowledge to help our clients achieve their real estate objectives. Whether you’re looking to buy or invest in an oceanfront property, a golf home, or a vacation rental, we can guide you to the right one. Our familiarity with the diverse and unique communities in the state gives you the upper hand in selecting the neighborhood that perfectly matches your needs and preferences. We represent some of the most beautiful and sought-after properties in all of Hawaii. Whether you’re looking for a historic plantation estate, a gorgeous waterfront home, or a convenient luxury condominium, we have what you’re looking for. Our Vacation Rental services are second to none. Our portfolio includes nearly 200 luxury rental properties with topnotch property management to ensure a seamless, comfortable, and pleasurable stay. Work only with the best Maui real estate agents and the top professionals in Hawaii. Give us a call at 808-214-0302 or send an email to our partner Greg Burns at Greg@IsleLuxury.com.